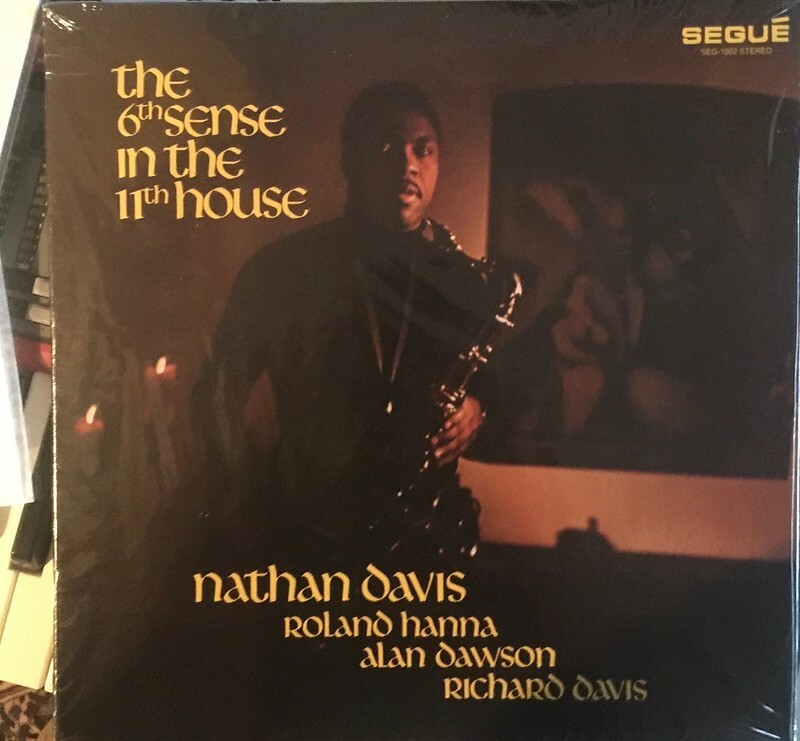 Yes, I find the same with some remasters: an increase in bass, detail etc but there's a loss of a certain something... 'air' is a good description. I'm not audiophile-trained enough to describe it better. mozz and c-eling like this. Yes. And it's great if a company has left an indicator in the dead wax. Trying to find the best sounding pressing is made less maddening because of this forum. Many times when I searched the web for best sounding pressing of XXXX, Steve's Forum was the first search result to appear. Thanks to all for that. Kimiimacman, Old Rusty, violetvinyl and 9 others like this. Christophe Lethimonnier, Revolver, marcb and 9 others like this. Yes, and even if you should find a copy of ”the best sounding pressing” the record may very well be worn. Vinyl records do get worn! Spadeygrove and c-eling like this. patient_ot and Christer like this. Given that so much popular music is now 40 to 60 years old, the 'original pressing' facet is getting more and more expensive and correspondingly, more difficult with regards to condition. So even if the original or first pressing is the better sounding of all, you have to figure in finances and the labor. I bought a rock rarity for almost $200 (with shipping) that was described as barely played / near mint. It was more like a true VG+. Couple minor non-sounding handle or play marks. No biggie... I'm happy given its scarcity, but I think there are some folks who would not be happy. But whatcha gonna do? If you like a particular title well enough why not get an original and a reissue? They're usually a little different sounding. My experience is the 'original' (in 95% of cases) sounds the best but some reissues are great in their own way too. If an original is too pricey buy a cheap copy -- just for comparison. You can still ascertain how its sounds compared to a reissue. Who knows it may spark you to say the original is worth the money and effort. Marc Perman, Spadeygrove, aoxomoxoa and 4 others like this. fitzrik, Tommyboy, patient_ot and 8 others like this. Spadeygrove and yasujiro like this. More magic than the actual stereo master tape. And I've heard them both. Scully/Westrex valve cutting system. To die for..
Spadeygrove, ParloFax, mahanusafa02 and 1 other person like this. Twinsfan007, hi_watt, GerryO and 1 other person like this. When we discuss best sounding version we can mean different things. I remember an an old story from the late 1960s when you mainly bought 45 rpm 7” singles. A friend borrowed a bunch of singles from my brother and recorded them on a small cassette recorder (the first very small recorder made by Philips that came around some time after compact cassettes were introduced). When he returned the records he claimed that the cassette recordings he had made sounded better than the original singles. I who used to be a ”hi-fi freak” thought that that could not be true. His recordings were one more generation away from the original recordings. But later on I realised that probably the limitations of the cassette recorder and the cassette tapes made the sound of the recordings somewhat brighter (and maybe more compressed) than the sound of the original singles played on a record player. What my friend preferred was in an objective way not better sound, but it was different! Man at C&A, Spadeygrove and AnalogJ like this. I agree with the statements saying the dead wax can only take you so far to locate extraordinary pressings. 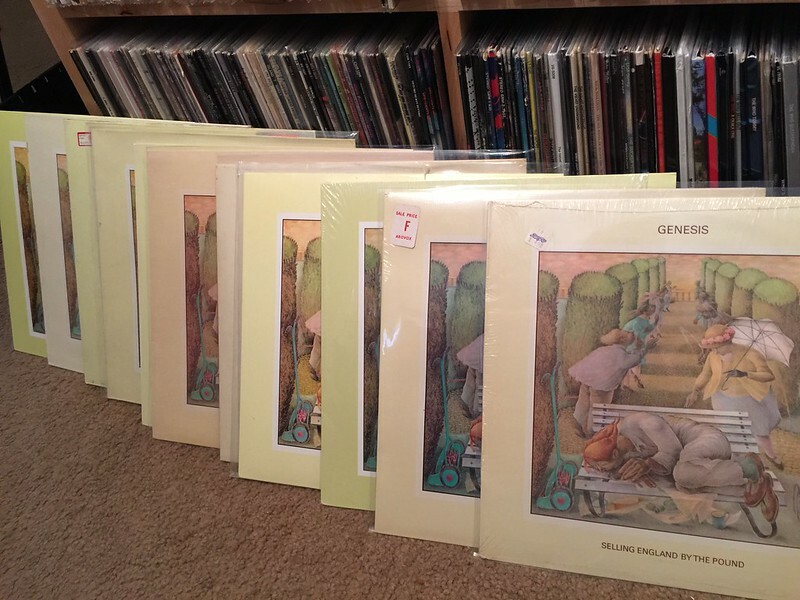 After becoming "woke" about deadwax etchings and how to interpret them, (thanks to this forum), I searched my collection to see how many first pressings I had. It was a small bunch. They all sounded great, but most not greater than reissues I owned. Except for one: a US Peter Gabriel "So". It's a first pressing, and it has special magical powers. Many complain about this pressing, but not I. What makes it that good? It really does come down to listening to the individual record. There are no shortcuts. The opposite, identfying pressings to avoid, can be better served by deadwax info. Rockin' Robby, Stone Turntable and violetvinyl like this. I have 3 original pressings of Sgt. Pepper that sound great, but my purple label reissue is my #1 go-to. DK Pete and Marc Perman like this. I have almost all of the Beatles purple labels except Sgt. Pepper, but my go-to is a German HorZu. Curious, would you want to make a new LP with that system? Or is it too “wrong” in other regards (noise, distortion, frequency response)? Yes, I would, in a flash. AlienRendel and Pinknik like this. What I like about this is that Steve shows that you can sometimes do things to get an even better sounding version than the original LP. The first release may not always be the best! Spadeygrove, AlienRendel and Stone Turntable like this. Of course. Everyone’s opinion’s are valid on here. Just try to find a few people who’s tastes align with your own for solid recommendations. Personally, I find the more they muck around with things...the worse it tends to sound. Things like no-noise, and limiting are real non starters for me. Other people don’t mind as much as they may like a more pumped up sound, and any hint of tape hiss drives them crazy. Other than that, it’s a case by case basis. Every mastering engineer is like a chef, and they all season things differently. Some are masters, some aren’t. And it’s easy driving yourself nuts (and broke) trying to find the very best version. Tommyboy, Mlle. Aurora, PATB and 3 others like this. I was a major LP wholesaler to Asia from around 2000-2010. I shipped 100's of thousands of lp's overseas - but FIRST, I listened to all the interesting ones - keeping the cream of those for my own collection And if similars came in to something important I already had, I'd A/B them to decide which to keep. So I have some experience in this. 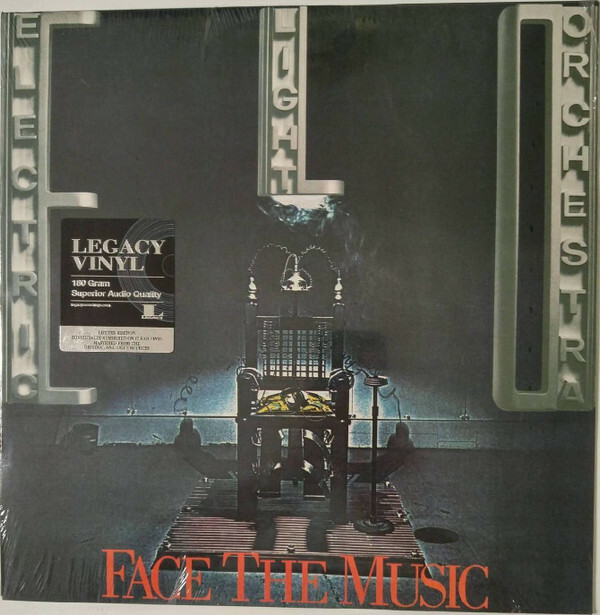 Classical is the easiest to generalize... like Classic Records vs. RCA originals - I'd say that I prefer the Classic reissues on about 80% of them. I love to play people the original 1A Witches Brew, and say "sounds pretty good eh?" Then I play them a Classic version of it - and watch their jaws drop. But as an aside - my "go to" Pink Panther Soundtrack is on the incredibly thin and floppy pink RCA label - despite that I have a mint 1st press. Original Mercury seems tougher to beat - Piros was great. (Im lucky to have a few of Piros' personal copies of test pressings / lacquers that are out of this world...) The Mercury reissued CD's are bad IMHO. I had the Starker Bach suites on CD for a few years and couldn't understand why the vinyl set was so expensive, until I got one - I sat there and listened to all 3 discs nonstop, straight through - really irritating my wife. London/Decca were great recordings, but they are often improved in later remasters/pressings - especially the Japanese. ALL of the Deutsche Grammophon from the late 60's onward (post the early Tulips label era) benefit in reissue. The originals were dreadful. Jazz/RVG - it's the same thing isn't it? brings up another interesting issue. Our age - I'm older and my hearing from about 1.5 khz+, is way down now - so "hot" mixed mids will sound much better to me than to a 30 year old. It's an elephant in the room in many discussions that nobody seems to notice. Our opinions of mixes/masters will be GREATLY affected by age if we are not consciously correcting for that. Personally - I run an EQ calibrated to my hearing tests. But back to Jazz, and Rock is similar but even more so - It's hard to generalize at all. Some of the late 50's/early 60's jazz pressings are fantastic - and that sets a high bar for a reissue to beat. Rock, not so much - many of the 60's and 70's lp's are a disappointingly low bar (hence the demand from people like us for new versions), but of course if the original engineering was at fault, there may not be enough there to revive. So in rock, I'd say most of the reissues done by the acknowledged masters of remastering (our host being one , Steve Wilson, etc., better the originals, though. Bottom line IMHO - record collecting is fun - but it's different than record listening. For listening, most remasters will better or at least adequately match the originals. And frankly, for listening - Hi-Res downloads or streaming make a lot of sense. One last thing on this rant... If you want the master closer to the way you'd like - Do it Yourself! I often load a piece into Izotope at 32 bit 192khz and "fix" it. You'd be amazed how much you can improve much of your collection. Tommyboy, PATB, marka and 1 other person like this. Purple from the late 70's or late 80's (large dome or small)? I haven't yet found a copy of SPLHCB that I'm really happy with - including RtR. I just always feel like there should be more "there" there - but I'll keep trying .